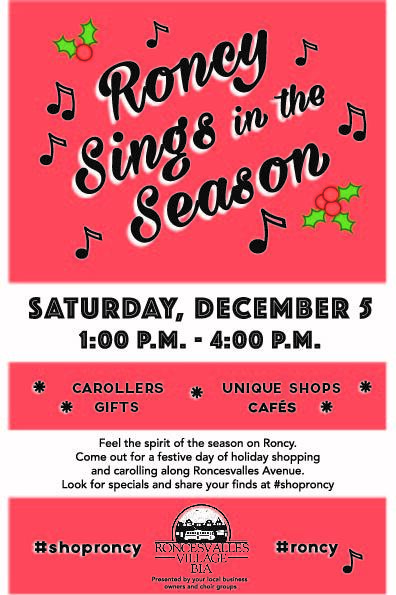 As you stroll down Roncesvalles Avenue on December 5th, from 1 to 4 p.m., the street will resound with the joyful voices of local carollers. This year, eight groups of carollers will take to the street. All five churches in Roncesvalles Village have agreed to contribute a choral group to sing Christmas Carols on Roncesvalles. The Polish Church will sing Polish carols and the Greek church will sing in Greek. 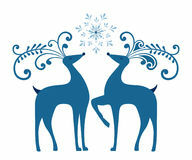 We also have a French choral group that has stepped forward and a seniors choral group from Copernicus Lodge. In addition, we’ll have Eskapade, a vocal ensemble from Etobicoke School of the Arts which has performed at some of the most prestigious venues in Canada and the USA. Please take time just to enjoy the music! Then look around you and just enjoy the magic of the street. You’ll notice lights and delights to be found in all of the shops, cafes, bakeries, restaurants and pubs. At the heart of the street, you’ll find a community project to adorn with solar lights a couple of trees by the Roncesvalles United Church. Check it out. You too can Shine Your Light! This entry was posted in CURRENT, Special Events and tagged Carolling on November 30, 2015 by Veronica Feihl, Executive Director, RVBIA.